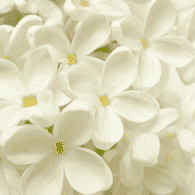 What is a soft floral perfume? It's a perfume that highlights soft and subtle floral notes such as tea rose, lilac, lily of the valley or sweet pea. A complex, soft tropical floral that some say captures the essence ..
A complex, soft tropical floral that some say captures the essence of the parks in Paris and the French countryside after the rain. The top note features soft, white gardenia. It draws you deeper with flowering linden blossom. The mixture is grounded in rare South Pacific barks and notes of dry drift wood.Click here to check out celebrities that selected our Printemps. To see it in magazines click here.Jane's inspiration: Springtime in Paris - the City of Lights. The spring and summer rains yield a fragrant melange of fresh flowers in the parks and tree-lined avenues. Energy fills the air. Printemps contains ingredients reputed to support the throat and heart chakras - so if you are purchasing a perfume oil, we recommend turquoise. The vibrational energy of turquoise matches and magnifies that of the plant oils within the formula enhancing the powers of voice, truth and self nurturing, love and of course, romance. If Printemps calls to you, perhaps it's t..
Our Bella natural perfume begins with a fresh spritz of pink grapefrui..
Our Bella natural perfume begins with a fresh spritz of pink grapefruit melded artfully with pink star jasmine, pink tea rose and lily of the valley. Its base is vanilla amber toast.Click here to check out celebrities that selected Bella. To see Bella in magazines click here.Jane's inspiration: Spring time flowers. After winter, blossoms sprout forth and share their subtle essence. Sweet pea. Lily of the valley. Lilac. Bella is fresh, youthful and exuberant, and captures the vital essence and excitement of being alive.Contains: Our proprietary fragrance composition of only 100% natural essential oils and absolutes distilled from flowers, fruit, citrus, seeds, grasses, leaves, bark, wood and spices via cold press, hydro, steam, CO2 or soxlet extraction and blended into a base of organic jojoba oil. May contain isopropyl palmitate from certified rainforest-safe (RSPO) palm oil.Recommended roller gemstone: The natural essential oils of Bella support the heart chakra ..
Nouvel Amour is a love poem in scent - a soft, sweet floral that un..
Nouvel Amour is a love poem in scent - a soft, sweet floral that unfolds with fresh pink grapefruit, precious tea rose and a warm embrace of almond-vanilla candy and Himalayan incense cedar.Click here to check out celebrities that selected Nouvel. To see Nouvel in magazines, click here.Jane's inspiration: When new love begins with a poem, that was the inspiration for Nouvel. It celebrates that intoxicating feeling of new love - that gripping excitement and yearning - whether for your beloved, a new child or even a new path. Nouvel captures all the nuances that new love brings - like the perfect love poem. The ingredients of Nouvel are known to support the heart chakra - so if you are selecting a perfume oil roll-on, we recommend jade. Jade holds the vibrational energy that enhances the plant oils. Together they emanate and attract love, abundance, good luck and call us to self care.Contains: Our proprietary fragrance composition of 100% natural essential oils..
Bloom wafts over you like the trade winds with the heady scent of flow..
Bloom wafts over you like the trade winds with the heady scent of flowering orange blossom surrounded by subtle green leaf notes and rich rock rose. Its depth comes from just a touch of amber mixed with deep heart sandalwood.Click here to check out celebrities that selected Bloom. To see Bloom in magazines click here.Jane's inspiration: Jane loves to visit Hawaii. And one of her favorite things to do is to take evening walks along the ocean. February and March bring forth a plethora of flowering trees. This is the season of mock orange. It's heady scent fills the air as the trade winds waft it about. And it inspired Jane to capture it's scent essence. Though we must admit more than one magazine editor has called it "the best of a warm Southern California evening." Well, that sounds good too! The ingredients of Bloom are reputed to support the crown and heart chakras. So if you're leaning toward a perfume oil roll-on, we recommend either amethyst or jade. These s..
Joie is ultra-soft and gentle. It contains powdery, fresh citrus, tea..
Joie is ultra-soft and gentle. It contains powdery, fresh citrus, tea rose, smooth sandalwood and rich rosewood.Click here to check out celebrities that selected Joie. To see Joie in magazines click here.Jane's inspiration: Joie was originally created as an ultra-subtle blend for new mothers and mothers-to-be, as their sense of smell is heightened to help protect the unborn child. However, it became super popular with many clients. So we added it to our perfume selection.The ingredients of Joie are known to support the heart chakra - so if you are selecting a perfume roll-on, we suggest jade. Jade shares the same vibrational energy of the plant oils contained in the formual, which attract love, joy and remind us to self care.Contains: Our proprietary fragrance composition of 100% natural essential oils and absolutes distilled from genuine flowers, fruit, citrus, seeds, grasses, leaves, bark, wood, and spices via cold press, hydro, steam, CO2 or soxlet extractio..
A fabulous fresh, soft floral blend that begins with top notes of orga..
A fabulous fresh, soft floral blend that begins with top notes of organic lime leaf. It draws you deeper with notes of lime flower, linden blossom and Hawaiian jasmine. Its lasting tenacity comes from iris and the distilled beans of the Tahitian vanilla orchid.Click here to check out celebrities that selected Flower Child. To see Flower Child in magazines click here.Jane's inspiration: San Francisco. Haight Ashbury. Monterey Pop Festival. Woodstock. Make love, not war. It was a counter-cultural movement - the Summer of Love - and people were out to change the world. Powerful voices for change came from the youth and artists like Baez, Hendrix, Joplin and Dylan. Wait - doesn't that sound like today?! Well Jane and Ajne may not have changed the world (yet! ), but C Magazine referred to her blends as "reinventing the world of scent." So join our revolution! The ingredients of Flower Child are known to support the heart chakra - the energy center that influences love, nurturing and deep emo..